October 05, 2015 04:00 ET | Source: Elsevier, Inc. 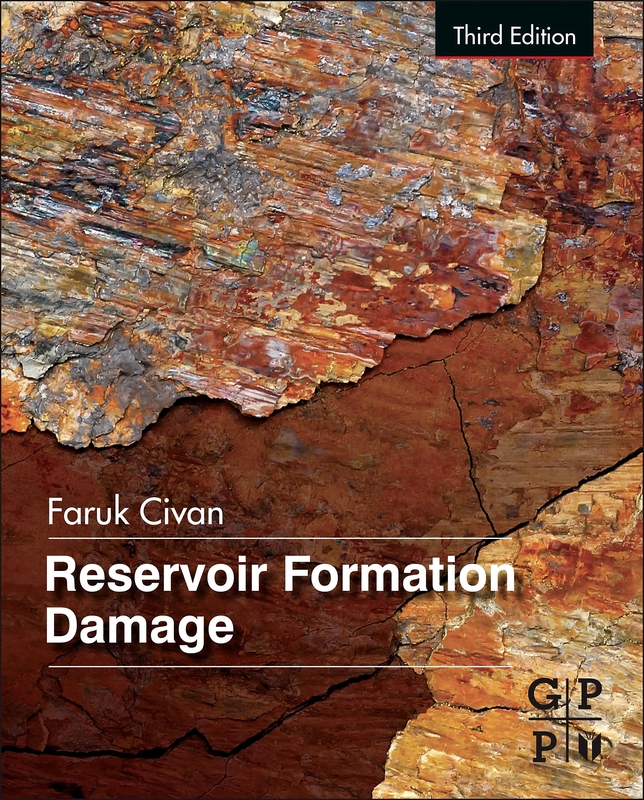 The 3rd edition of Reservoir Formation Damage by Faruk Civan helps readers predict and improve productivity of unconventional and conventional reservoirs, providing new methodologies and optimal strategies for success. It also offers the latest information on the economic problems that can occur during various phases of oil and gas recovery from subsurface reservoirs, including production, drilling, hydraulic fracturing, and workover operations.The book is well suited for reservoir engineers, well designers, petrophysicists, fracturing specialists, petroleum geologists, petroleum engineers, and others in the industry. 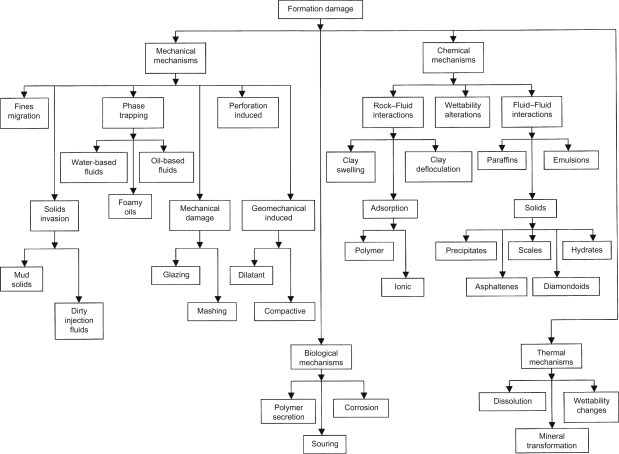 From Reservoir Formation Damage by Faruk Civan, Ch 1, Fig 1: Classification and order of the common formation damage mechanisms. Modified after Bennion, ©1999; reprinted by permission of the Canadian Institute of Mining, Metallurgy and Petroleum. Reservoir Engineering focuses on the fundamental concepts related to the development of conventional and unconventional reservoirs and how these concepts are applied in the oil and gas industry to meet both economic and technical challenges. 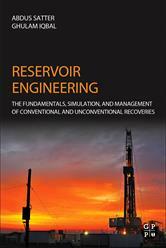 Written in easy to understand language, the book provides valuable information regarding present-day tools, techniques, and technologies and explains best practices on reservoir management and recovery approaches. 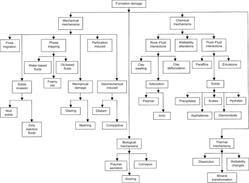 Various reservoir workflow diagrams presented in the book provide a clear direction to meet the challenges of the profession. As most reservoir engineering decisions are based on reservoir simulation, a chapter is devoted to introduce the topic in lucid fashion. 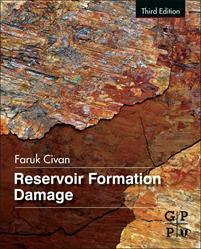 WALTHAM, MA--(Marketwired - October 05, 2015) - Elsevier, a world-leading provider of scientific, technical and medical information products and services, today announced the publication of seven new books covering oil and gas reservoir engineering, including the third edition of Reservoir Formation Damage by Faruk Civan. This new edition helps readers predict and improve productivity of unconventional and conventional reservoirs, providing new methodologies and optimal strategies for success. 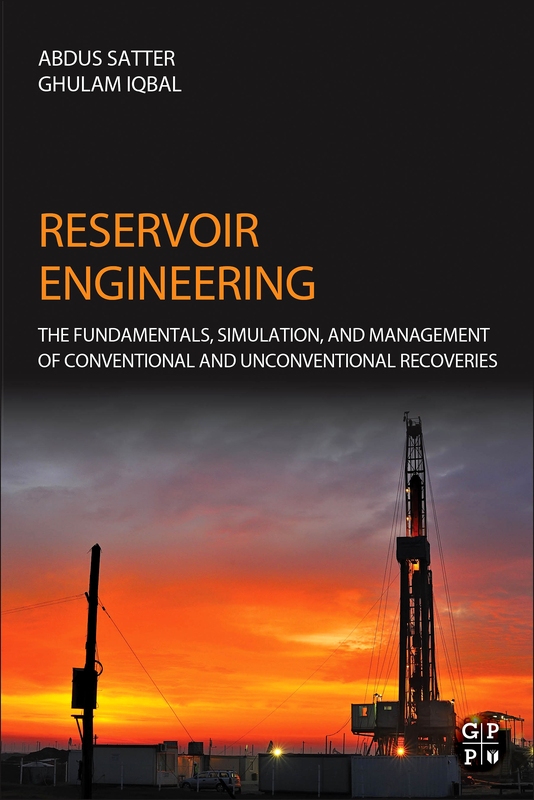 Reservoir Formation Damage provides the latest information on the economic problems that can occur during various phases of oil and gas recovery from subsurface reservoirs, including production, drilling, hydraulic fracturing, and workover operations. It provides a better understanding of the processes causing formation damage and the factors that can lead to reduced flow efficiency in near-wellbore formation during the various phases of oil and gas production. The book is well suited for reservoir engineers, well designers, petrophysicists, fracturing specialists, petroleum geologists, petroleum engineers, and others in the industry. Author Faruk Civan, PhD, is the Martin G. Miller Chair Professor of the Mewbourne School of Petroleum and Geological Engineering at the University of Oklahoma in Norman. He is the author of two books, and has published over 330 journal articles, edited many books and conference proceedings, and given more than 125 presentations worldwide. Dr. Civan has received 21 honors and awards, including five distinguished lectureship awards, the 2003 SPE Distinguished Achievement Award for Petroleum Engineering Faculty and the 2014 SPE Reservoir Description and Dynamics Award. Last week at the Society of Petroleum Engineers (SPE) Annual Technical Conference and Exhibition in Houston, author Yu-Shu Wu, PhD accepted an award for Distinguished Membership at the SPE. Dr. Wu was recognized for his outstanding and significant technical, professional and service contributions to SPE and the petroleum industry. He is the author of Multiphase Fluid Flow in Porous and Fractured Reservoirs and is Professor and the Reservoir Modeling Chair for the Department of Petroleum Engineering at the Colorado School of Mines in Golden, Colorado, USA. Dr. Wu's research and teaching areas include reservoir engineering, specifically reservoir characterization and simulation, fractured reservoir characterization, and non-Newtonian and non-Darcy flow behavior. These new books fill critical knowledge gaps in fundamental and advanced reservoir management skills. Using proprietary tools to identify and fill those gaps, Elsevier is providing students, faculty and oil and gas engineers the content they need to answer challenging questions and improve outcomes.